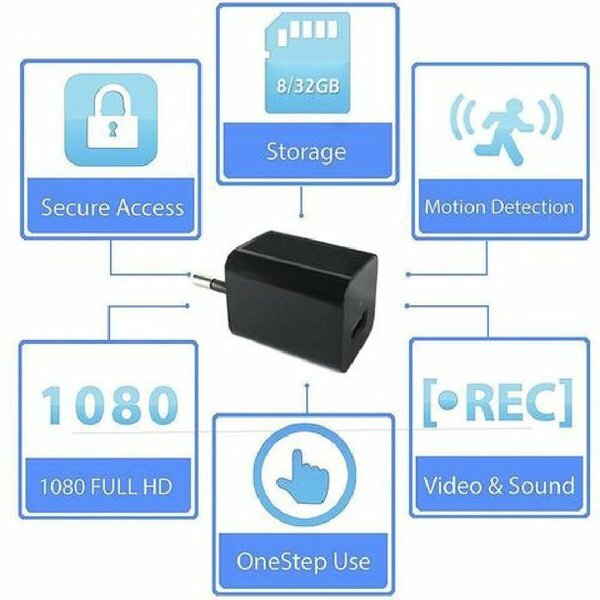 It might look like an ordinary USB wall charger, but the 1080P HD USB Wall Charger Hidden Spy Camera features a hidden 1080P HD camera allowing you to capture 1080P HD video.1080P HD SPY CAMERA allows you to see exactly what is going on when you aren't around in your home, office, business, or wherever you need covert securityRECORDS TO MICRO SD CARD hidden inside the device where no one will see it. 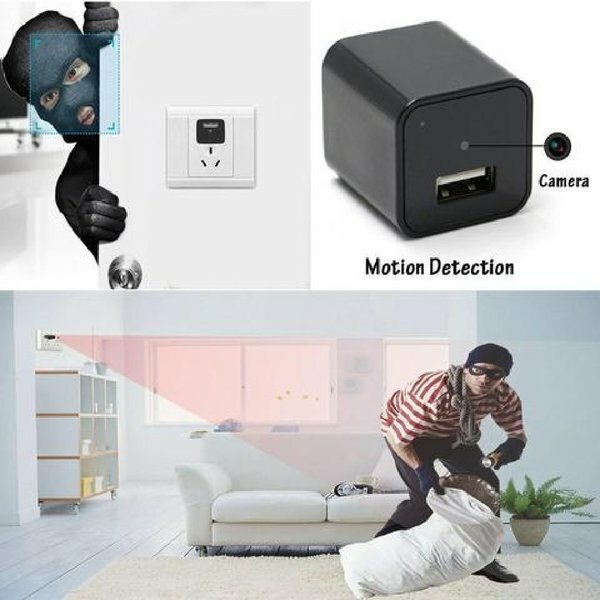 Built In 8/32GB Memory .8GB memory holds up to 1-2 hours, 32GB memory holds up to 4-5 hours.You can watch what you recorded on PC or Mac.SIMPLE TO USE camera is ready to go out of the box.Wall Charger With Built-in Hidden Camera For Multi-Purpose MonitoringMOTION DETECT Never worry about it wastes a lot of recording time. Loop recording automatically overwrites oldest files if the memory fills up. you'll never miss a thing even if the memory fills up.2 IN 1 DESIGN—Never worry about power shortages. 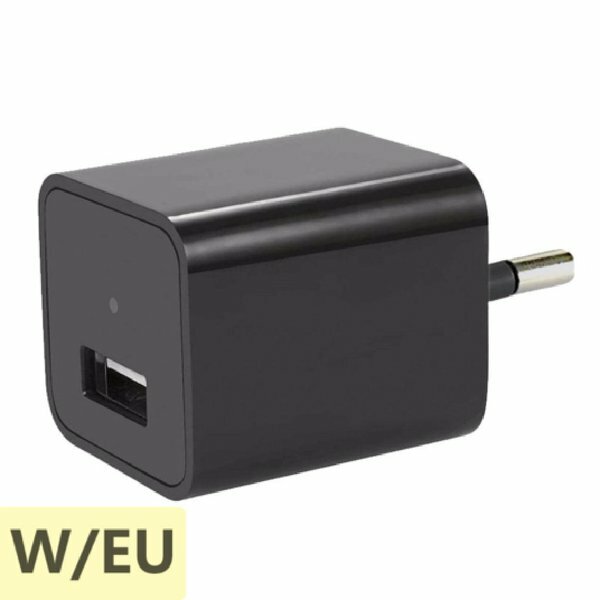 Adapter with the camera, you can charge your smartphone and record video at the same time.